The story of Orson Welles is famously tragic: A wunderkind who made what many consider to be the greatest movie right out of the gate at 25, Citizen Kane, his career was then squandered through a variety of studio battles, so that he only wound up with a handful of masterpieces instead of the many he surely had in him. One of his later efforts, which he wrote, directed, and co-starred in, was 1958’s Touch Of Evil. The gritty late-era noir has Charlton Heston playing a Mexican drug-enforcement official at the U.S. border, and features Janet Leigh as Heston’s wife, a young Dennis Weaver, Marlene Dietrich as a madam, and Welles as corrupt sheriff Hank Quinlan. 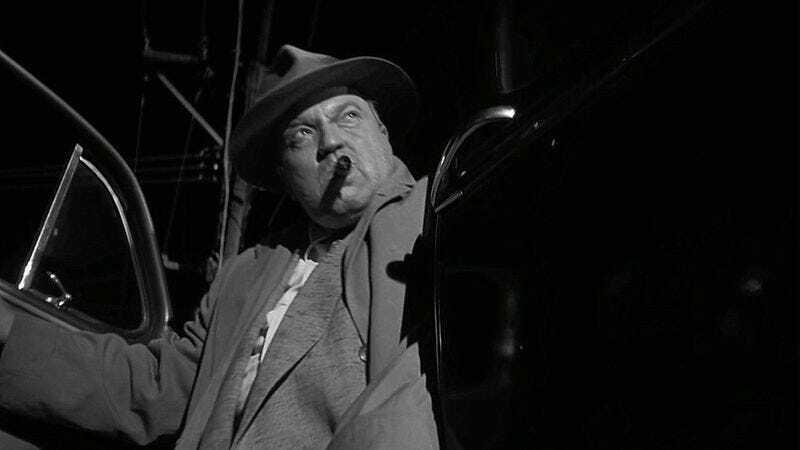 Welles was in his 40s by this time, and grossly obese, but his work behind the camera on Touch Of Evil (including the still-famous three-minute opening tracking shot) convinced him that the film could be his Hollywood comeback. Instead, as was typical in Welles’ career, the director was fired in post-production. Studio officials were confused by the movie, but Welles protested their changes. Universal then re-edited the movie and even re-shot some scenes. Welles protested in a 58-page memo to Universal that was mostly ignored, and the movie was released as a B-picture, despite its all-star cast. In 1998, film editor Walter Murch re-edited the movie according to Welles’ specifications, and this is where Rocket Jump Film School’s Behind The Edit picks up the story in an episode titled “The Orson Welles Memo.” The video granularly compares Welles’ preferred edit to the version that was released. It’s a bit of a master class in learning how much even slight edits can affect the way we view a film. Of course, that 1998 revision came out a little too late for Welles, who died in 1985. But his version of the film, as edited by Murch, received numerous awards. Touch Of Evil was added to the National Film Registry by the Library Of Congress in 1993.